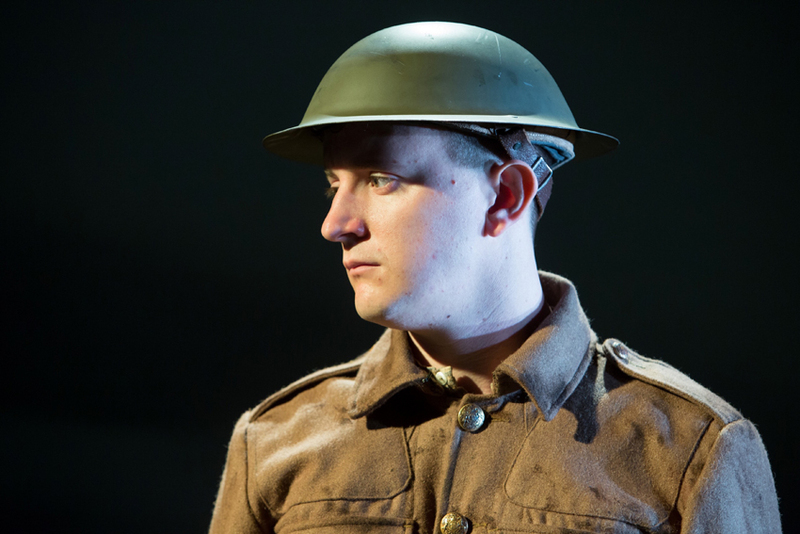 Private Peaceful theatre review: A compelling account of a boy’s life cut short by war. Private Peaceful is a powerful production of the book by the author Michael Morpurgo, a former children’s laureate, who is best known for War Horse. This play commemorates the centenary of the end of the Great War. Andy Daniels in the role of Thomas (affectionately known as Tommo) gives an evocative and animated performance as a young boy who is drawn to follow in the footsteps of his much-admired elder brother Charlie. From the confines of a single bed, traumatised and alone, he flashes back to his childhood, and happier times on a Devonshire farm. The story takes the audience via the significant places and memories that make up his character. Central to Tommo’s growing up is Molly, a girl who he loves from his first encounter at school when she helps him tie his shoelaces. Tommo’s schooldays revolve around his brothers Charlie and Big Jo, who help him out of several sticky situations. We are privy to the journey Tommo and Charlie take from boyhood to manhood as they become soldiers in the battlefields of France. Andy Daniels engages the audience with his powerful monologue, capturing the range of dialects depicting the characters of his brothers, Molly, the Colonel and the officers he meets. This is enhanced through sound effects which transport the audience to the Devonshire farmland, airfields, villages and the trenches which Tommo is immersed. The scenery and props are minimal and highlight the starkness and isolation of war, drawing you into Tommo’s world. Although not in the same league in terms of budget or scale as War Horse, this production has the same characterful emotional storytelling that makes Michael Morpurgo’s plays gripping for his audiences. Private Peaceful depicts the strength of the human spirit and is an excellent way to enlighten adults and younger audiences to the injustices of war. Prive Peaceful depicts the strength of the human spirit and is an excellent way to enlighten adults and younger audiences to the injustices of war.